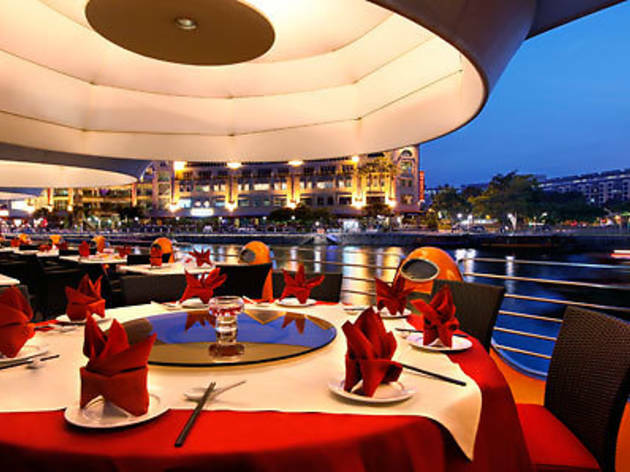 In an area teeming with seafood restaurants offering the Singaporean must-try delicacy – chilli crab, Quayside Seafood has differentiated itself from the rest of the pack with its beautiful location along the Singapore River and its spectacular outdoor theatre kitchen. Featuring a formidable team of chefs displaying their culinary skills, this restaurant offers an extensive menu filled with award-winning creations like black-pepper crabs, flamed drunken prawns and Indonesian-style prawns in claypot. 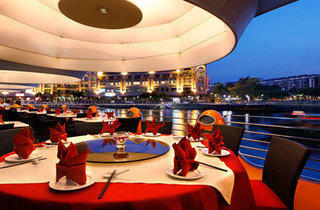 As you dine alfresco on unique lily-pad flooring by the riverfront, you can relax to soothing music surrounded by a cool night breeze.